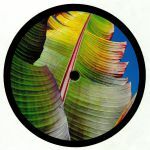 Review: After receiving high-profile support from the likes of Ben UFO, Peggy Gou and Midland in recent times, it's no surprise to see Kieran "Four Tet" Hebden's "secret weapon" - a dancefloor-focused workout based on samples from Nelly Furtado's 2006 track "Afraid" - finally get a vinyl release. If you've not yet heard it, the track's genius lies in Hebden's ability to wrap druggy, chanted vocal loops and a foreboding, arpeggio style bassline around swinging, Afro-fired machine drums that carry serious weight. While the different musical elements on show are sparse, "Only Human" is packed with sweaty peak-time energy and sounds like an anthem in waiting.